While scientists have theorized that our love of shiny objects stems from an evolutionary attraction to water, there’s no denying that we are drawn to things that shimmer and shine. To capture some of that twinkling goodness in your own work, here are a few products you can add to your repertoire. Use a gold gesso or ground to start your surface off with some shine. With an even application, you can use the gold as a background colour on your surface, painting your subject on top of the metallic surface. Try Daniel Smith Watercolor's Iridescent Gold Watercolour Ground, or Demco's Gold Acrylic Gesso. Try using deep colours that will pop on top of the gold background, like an indigo blue or venetian red, or a bright complementary colour like teal. If you’re into the latest trend of acrylic pouring, try enhancing your pours by starting with a gold surface, or by adding metallic acrylic inks into the mix. 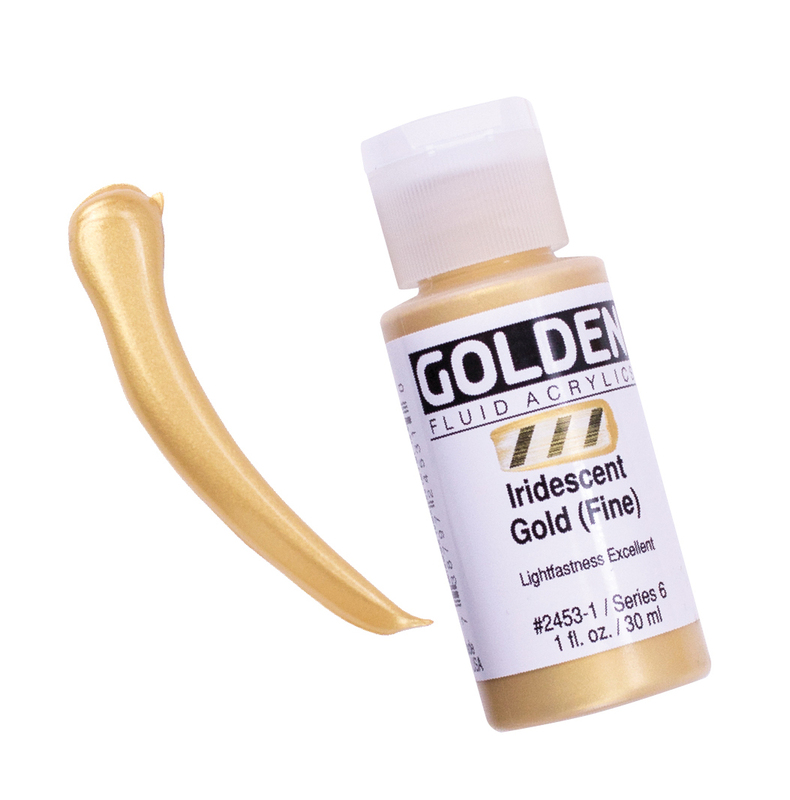 GOLDEN Artist Fluid Acrylics and GOLDEN High Flow Acrylics are available in metallic colours, too! 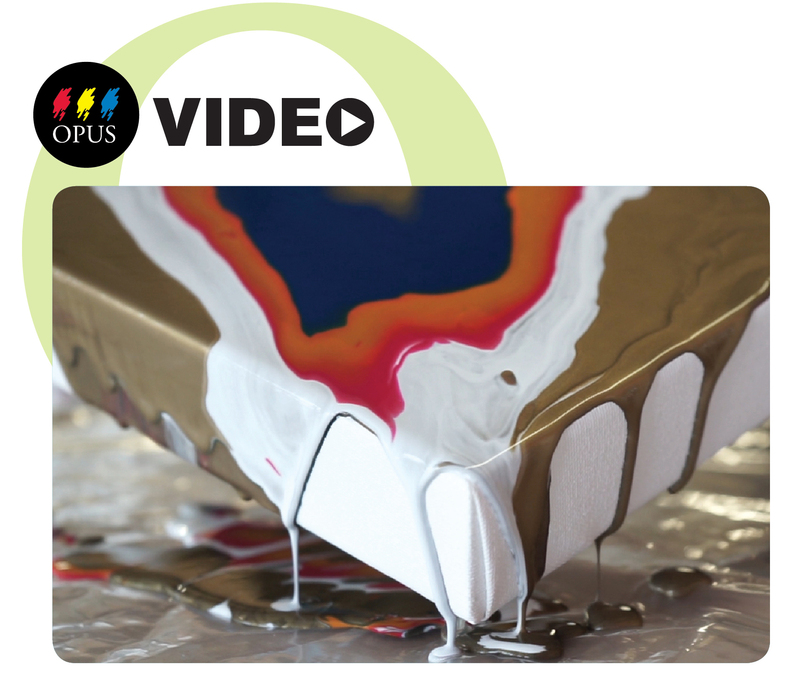 Learn how to make acrylic pours through our new Opus video Introduction to Acrylic Pouring. 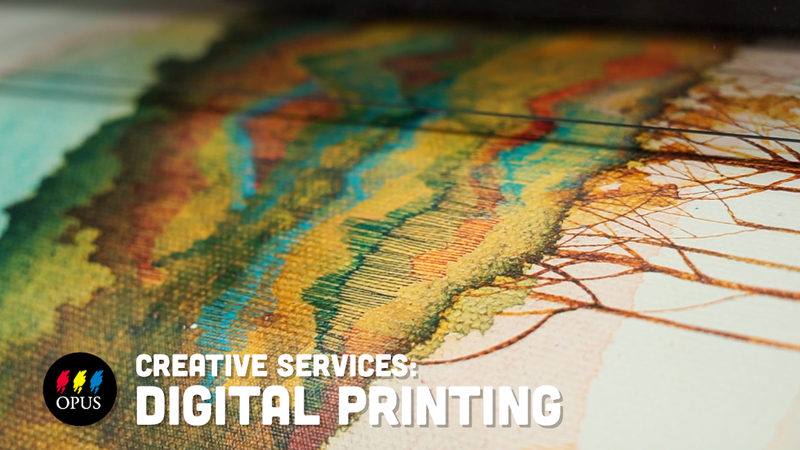 There are many options for adding glittery materials to your work, whether you’re working in dry or wet media, printmaking or painting, lettering or fine art. Our newest addition to the glamorous, shiny selection is the MOLOTOW Liquid Chrome Marker, which provides sleek silver lines that are reflective when dry. Be sure to try this on dark, non-porous surfaces for the ultimate effect. A staff favourite in the past few years are the Finetec Metallic Pearlescent Watercolours, for their stunning richness and beautiful, opaque finish. Available in a set of six of shades of gold, or a set of 12 colours from Pearlescent White to Russet Red, luscious Finetec paints provide a variety of eye-catching shiny results on white or dark surfaces. Mix Finetecs in with your regular watercolours for an added shine to your piece, mark it on with a calligraphy pen to create opaque, shimmering lettering, or even splatter it on with a brush. Get into the nitty gritty details of your piece with a metallic pen or pencil. Sakura Gelly Roll Pens come in a wide variety of metallic colours in both regular and dark hues, and are perfect for dry media works: try faux calligraphy, zentangles, or add small details with these fun gel pens. Jacquard Pearl Ex Powdered Pigments, once mixed with a medium such as Gum Arabic, provide a versatile and desirably sparkly paint that can be used on a wide variety of surfaces, as well as in multiple applications, from lettering to tinting your acrylic mediums. Mediums can help you create a variety of effects, from traditional glitter to a rustic finish. Looking to add some glitter to your work? 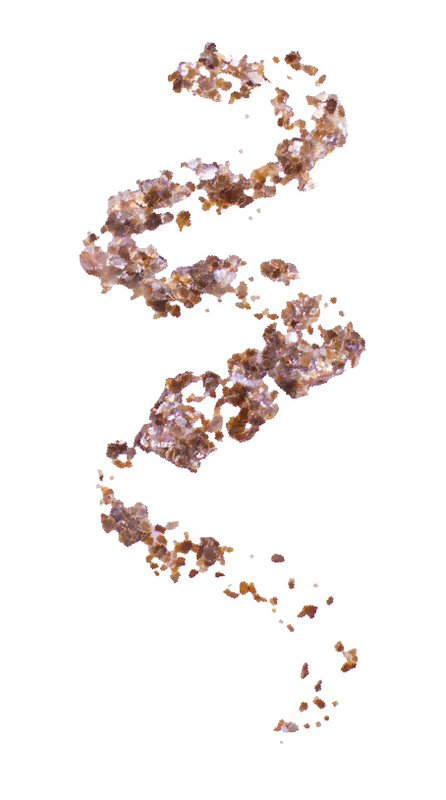 Try GOLDEN Mica Flake, which dries to a clear paste with thin or thick flakes of sparkle. 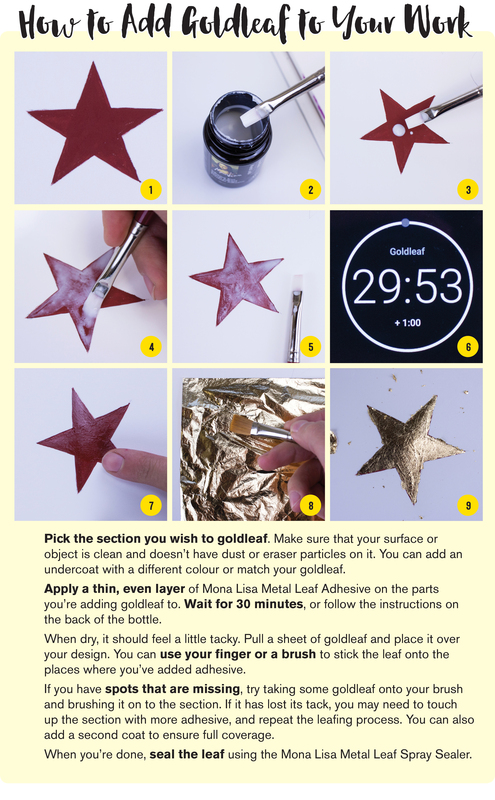 If you’re looking for fun family-friendly activities, try creating collages with glitter glue, creating metallic origami shapes, or adding shimmering pigment to Mod Podge glue. 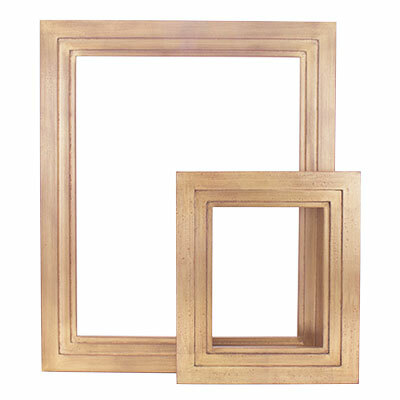 Whether you’re complementing the choice of gold in your piece, or simply want to accent your piece at the finish, a gold frame adds a beautiful touch to a wide variety of works. Our new Robson Frames come in a gold finish, and are ideal for works of art on paper, slim canvas, or slim cradled panels. Another readymade frame is the Opus SOLO Wood Frame; made from offcuts from treasures in the framing world, you can try your luck in finding a gold frame that’s likely one-of-a-kind. Play outside the limitations of what’s readily available by ordering a custom frame through our Custom Picture Framing Service, or by goldleafing your own frame. More shiny products to try! Check out some of these exclusively shiny products, or product lines with luscious gold, silver, bronze, or metallic colour options.